Located in the northeast corner of the Tibetan plateau, the traditional province of Amdo is plush with beautiful grasslands and rugged mountain ranges. But the picturesque beauty of the brilliantly white stupas and pretty monasteries is marred by the presence of massive security forces over the last few months. The police crackdown is a result of the increase in self-immolations by monks at the restive Kirti Monastery, a 600-year-old temple in the Aba prefecture of Sichuan province, which borders Qinghai and Gansu. 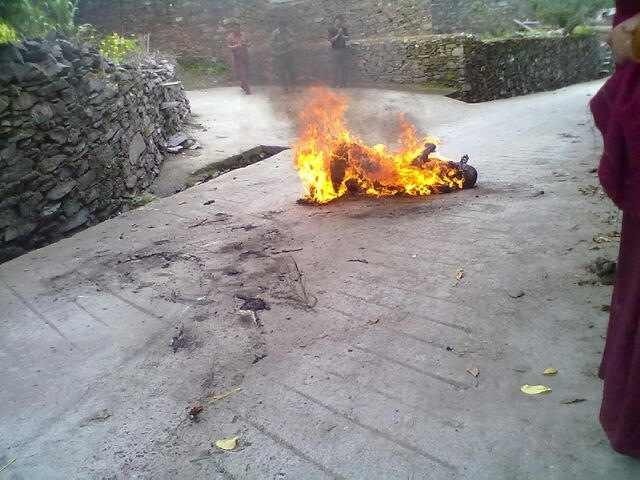 Of the 90-plus people that have self-immolated inside Tibet since February 27, 2009; as many as 20 were monks or former monks at the Kirti Monastery – the latest being two teenaged Tibetans who set themselves afire near the eastern gate of the temple on August 27. The influence of Kirti Monastery is now visible across the region in many small and big temples. Most towns and cities in Tibet are heavily guarded by police and anti-riot SWAT forces, while a reserve of the military is forever stationed on the outskirts of major townships. While CCTV cameras peek surreptitiously from vantage points at most public places, informers in plainclothes have penetrated just as deep into the personal spaces of monks, nuns, students, housewives, artists, farmers and nomads across the region. Armed Public Security Bureau (PSB) units regularly patrol streets carrying machine guns, fire extinguishers, iron rods and riot shields. Authorities have also formed SOS fire brigades at sensitive locations. Suppressed rage against China’s continued occupation of Tibet and despair among people in the region has reached such a nadir that in November alone there has been one self-immolation a day on an average – mostly by monks facing difficulties in religious freedom, teens running out of patience with the Dalai Lama’s middle path and the aged seeing no other way to support the ‘Free Tibet’ movement. Beijing’s repression of Tibetans is no longer hidden from the world. November was also the month when the Chinese Communist Party unveiled its new leadership slate, headed by Xi Jinping. But far across in the Himalayan plateau, the wave of self-immolations in the Tibetan region has only increased since the leadership change. “Tibetans have responded to China's extreme repression by setting themselves on fire to call for freedom and the return of the Dalai Lama. These heartbreaking acts of nonviolent protest deserve an immediate and stronger effort from the global community to hold the Chinese government accountable for its atrocities in Tibet," says Tenzin Dorjee, executive director of Students for a Free Tibet. "Tibetans and Tibet supporters on five continents are laying down a challenge to the Chinese Communist Party leader Xi Jinping: stand on the right side of history and answer the Tibetan peoples' demand for freedom,” adds Dorjee. Several Tibetan writers, scholars and activists have called upon the Dalai Lama to issue a formal appeal to stop the self-immolations, but the spiritual leader’s silence, many believe, is encouraging the gory phase of violent deaths as the final means to achieve freedom for Tibetans. Earlier this year on being asked whether Tibetans should stop setting themselves on fire, he replied with a firm, “No answer”, raising quite a few eyebrows. 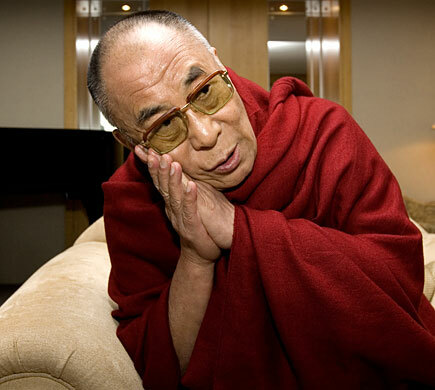 “Past history clearly shows that violence cannot solve problems,” tweeted the Dalai Lama on November 12 from Japan. 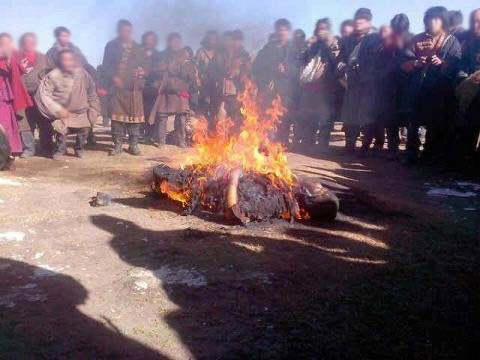 The same day Nyingchak Boom and Nyingkar Tashi, both in their youth, died of self-immolation in Rebkong County of Tibet. The Chinese authorities have not faced such massive unplanned resistance in their own backyard in recent times and Beijing’s paranoia continues to grow. The authorities have now announced a reward of $ 7,700 for those who inform police about the planned self-immolations. A notice pasted around the region states, "Anyone who reports and informs the legal authorities on the people who plan, incite to carry out, control and lure people to commit self-immolation will be awarded 50,000 yuan ($ 7,700)." The notice, which refers to organised groups of Tibetans who plan self-immolations as "black hands", assures a reward of 200,000 yuan to those giving advance information about planned suicides. "The Tibetans who are self-immolating have clearly not been dissuaded by the security buildup or other means of official intimidation," International Campaign for Tibet (ICT) head Mary Beth Markey has said. “Unless and until there is some initiative that can break through the cycle of repression and protest, I think we all acknowledge that more Tibetans will be prepared to take the agonising action of self-immolation,” she added. Worried about the status quo in the region, Lobsang Sangay even issued an urgent appeal to the international community recently to support the 'Solidarity with Tibet' campaign in 2013, to be organised by the Tibetan government-in-exile to lobby support for their cause amidst silence over the increase in self-immolations across Tibet. Undoubtedly, the strained relationship between China and Tibet has grown much more than the geographic distance of 2000 kms between Beijing and Sichuan. It would only become clear in the next few months if new Chinese leader Jinping will overcome internal resistance and change his nation's stated position and bring peace to the troubled region. Either that or the Dalai Lama must exercise his religious sway and urge Tibetans to stop this fiery cycle of death. Until then, the flames of agony are likely to keep burning bright. Hi, i am Ahmedabad Escorts as personalty improvement professional. your blogs are very good thematic information to others. i hope in future awesome blog will be post by you .